March in the Alps can be magnificent, and last weekend was one of the best, especially at 2,000 meters, above Adelboden in the Berner Oberland. 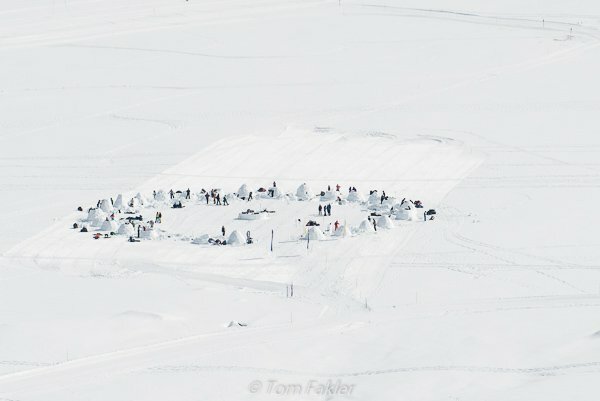 When I was invited to bring my camera to Engstligenalp for Igloo Festival 2015, I happily said yes. 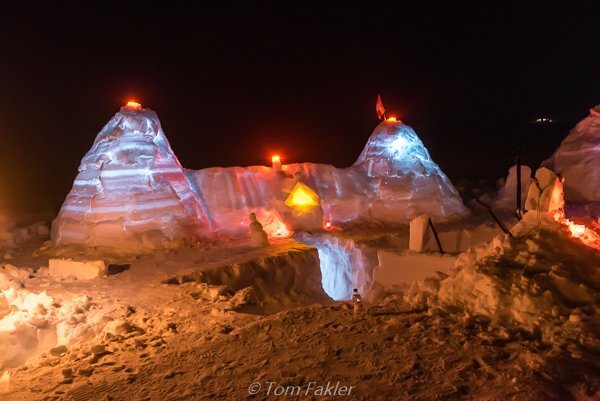 It was a creative, colorful weekend in the mountains–and yes, this is an igloo! 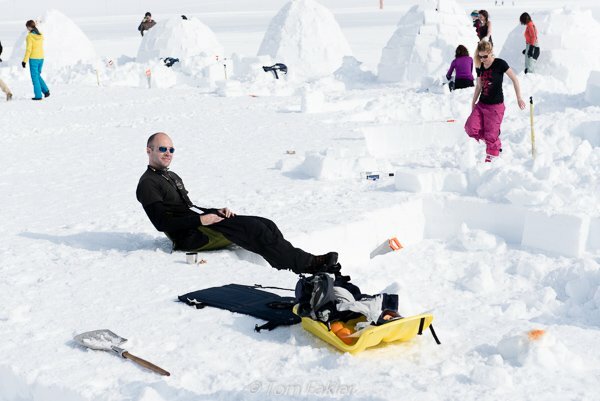 Armed with shovels and snow saws, and guided by professional instructors, more than 50 enthusiastic igloo lovers set about creating unique shelters of ice and snow for the region’s third annual igloo event. 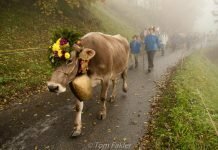 Equipment, supervision and meals were provided by festival organizers: Adelboden Tourism, Alpine School Adelboden, the Engstligenalp Mountain Transport and Sherpa Outdoor. 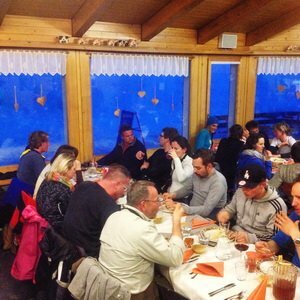 After the igloos were completed, everyone gathered for a celebratory dinner. 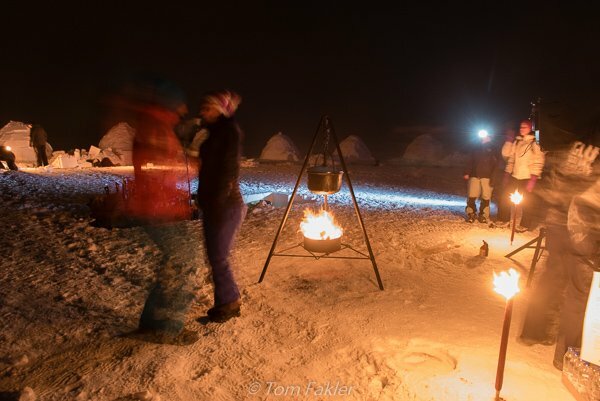 Participants cast their votes for their favorite igloo before turning in for the night in their purpose-built igloos. 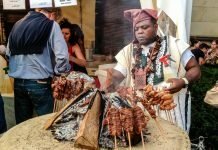 At breakfast, the winners received their prizes. 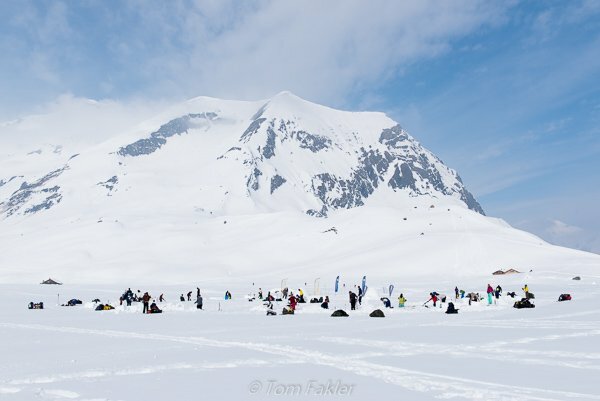 Here is a look at the weekend’s ice-and-snow party on Engstligenalp. 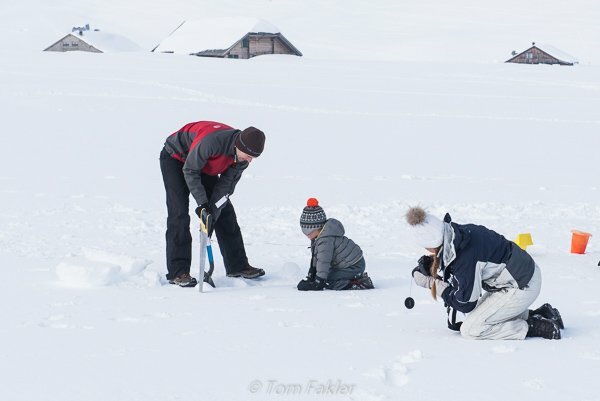 The Engstligenalp plateau: an ideal setting on a perfect day for building igloos. 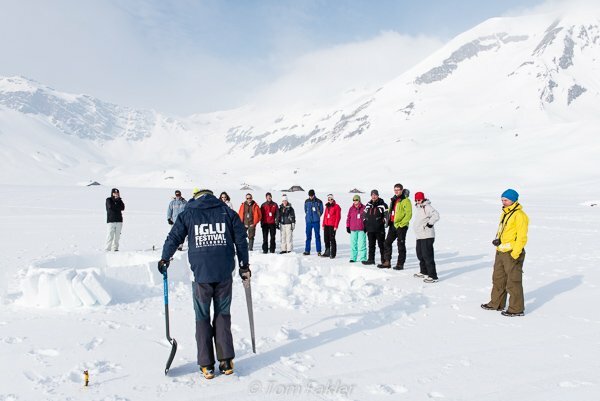 As soon as the sun reaches the Engstligenalp plateau, Bergführer Peter Frick demonstrates how to lay out an igloo, and begin cutting snow blocks for a base layer. 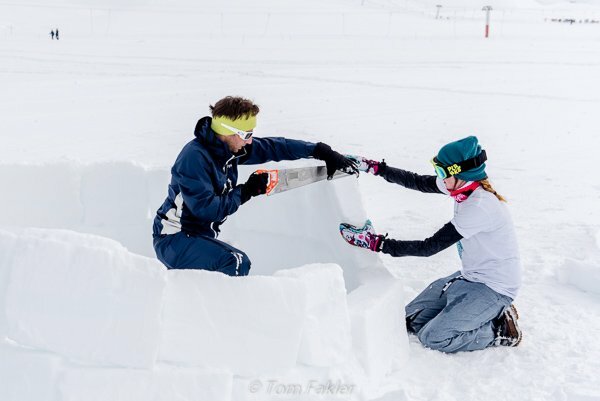 After the short course, teams begin cutting blocks of snow to build their igloos. 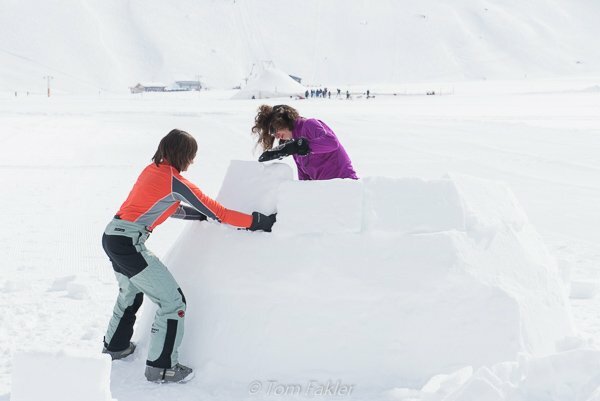 It takes a lot of snow blocks to make an igloo, and teams have more than a meter of packed snow to cut blocks for the base layer for their igloos. As each block of packed snow is put into place, it is cut to fit. Teamwork! Block after block, the walls of the igloo rise and are tipped inward, forming a curved top. 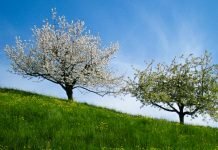 With eachc level, the angle of the curve becomes more important. A good igloo curves in evenly at the top. The string used to mark the radius of the igloo is also used to check the curve of the roof. After the roof is complete, it’s time to fill the cracks between blocks with snow. 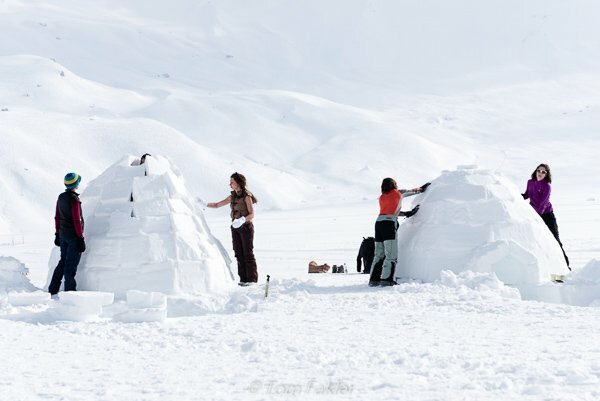 Caption: It’s 3:30 pm, and the igloos are just about done. Time for a well-deserved rest in the sun! 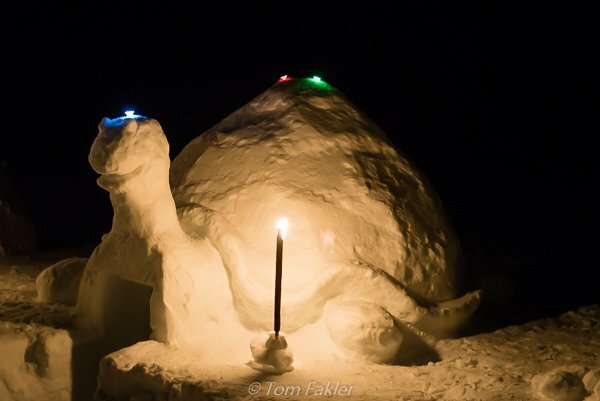 After building the base igloo, creativity kicks in, and igloos become art. 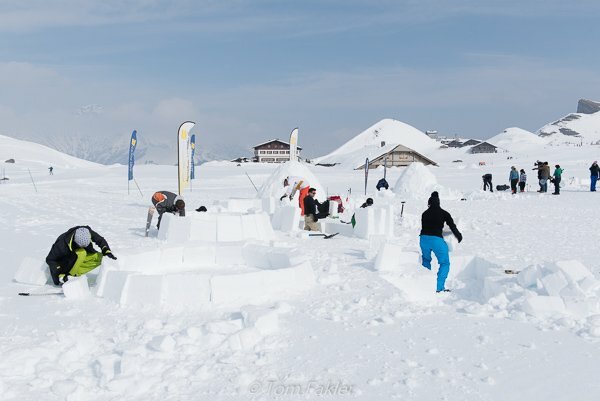 The makings of an igloo hotel: This combo of two igloos joined by a corridor and sharing an entrance is voted best igloo of the day by festival participants. 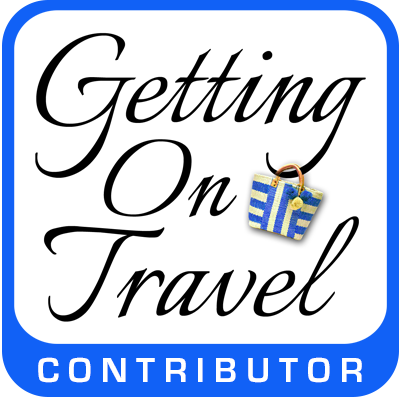 Winners take home Swiss wine with the Sherpa Outdoor label. Everyone else gets a goodie bag containing an Iglu Festival Adelboden cap, and a Sherpa mug and “Gutschein”. 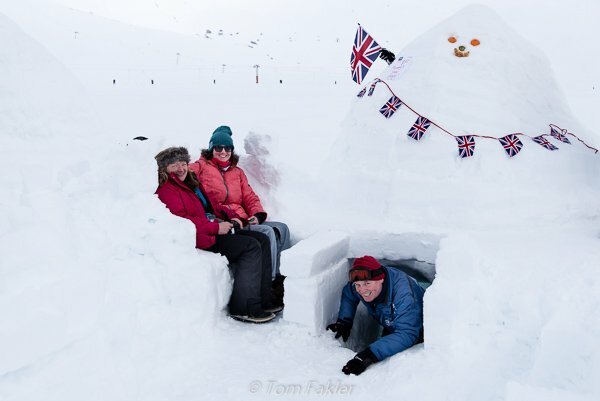 Before turning in, Igloo Festival participants gather outside their igloos for a warming cup of mulled wine. 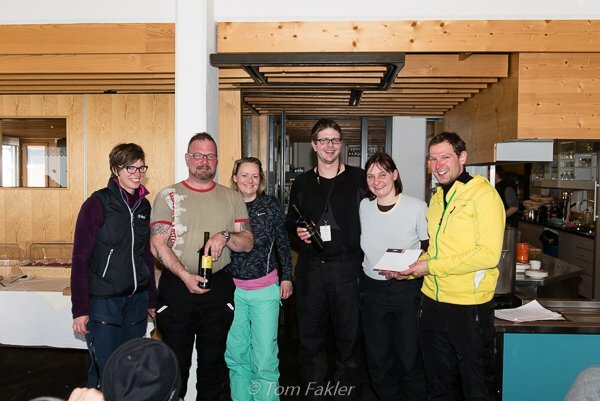 Annina Reimann of Adelboden Tourism (left) and Mario Tschopp of Sherpa Outdoor (right) present the winning teams with their prizes. 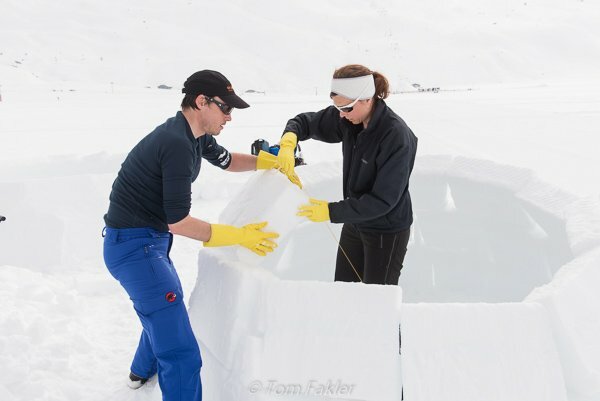 Watch the team building an Igloo in one minute.